HealthyRevelations.com has been operational since 2005. Originally, this website was set up to offer an online newsletter on health related matters that were deemed to be life changing. 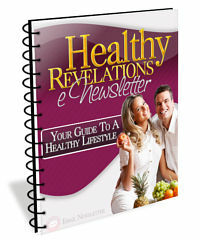 Since joining the team in late 2007, I took over as the sole author of our now famous Healthy Revelations eNewsletter. Since then, I've risen to the top and recently got promoted to run the entire website along with my handy team coaches and advisors. I'm so excited to be given this opportunity to do what I love: to help, advise and inform people of healthy alternatives found in traditional and whole food nutrition. My passion has been to motivate and open the eyes of people who have been too busy or too stressed out by the thought of taking care of their body. Let's face it: there’s a lot of information floating around out there! Take the low-carb craze, for example. How many different views on this one subject have you listened to, only to become confused by all the conflicting information that you say to yourself, "Forget it!" I’ve been privileged to write newsletters based on my knowledge of healthy living and the affect nutrition/food has on our quality of life. Have you ever noticed how good you feel both mentally and physically when you’ve filled your body with the right fuel? I felt so passionate about this subject, I teamed up with Nancy Lee Bently who is considered to be a world renowned expert on this subject. Nancy has been coaching me for years and recently created a coaching program called Eat Healthy To Be Healthy that is now located in our membership section. Our bodies have a way of communicating with us, making us feel good when we’ve provided it with the right nutrients. Proper nutrition is the key to a fulfilling life! It is such a simple concept, but one that’s so often overlooked in our busy and stress-filled culture. With our recent membership & coaching additions to the website, our goal is to reach as many people as possible and arm them with the information they need to take control of their own health. The best part is...we now do it on a personal level. Our coaches love talking with people just like you while providing life changing information with one of our many coaching programs and interviews. Knowledge is power, so let’s get empowered together! 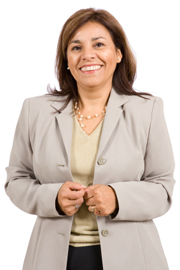 Use our free & paid trusted resources to achieve long term health and wellness!